Driving around the ring road of the French city of Toulouse recently, my two young children spotted an impressive display of balloons hovering about 50m over what looked like a car park in the approaching distance. It soon became clear that the balloons were attached to new vehicles on display at a car showroom. Ah yes, I thought to myself, it’s a slightly more ambitious approach to the old balloon trick used by car dealers elsewhere. You know how it goes: sales are sluggish, so get the salesforce to attach balloons to the cars and watch customers flock across the threshold. Better still, go one step further – open all the tailgates and tie the balloons to those. 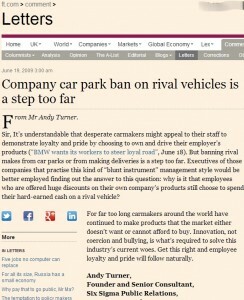 Then, sit back and watch as sales figures soar. Of course, I have no idea if this works, but it must because they all do it. Then again, perhaps it’s lemming-style behaviour and simply a colossal waste of time. 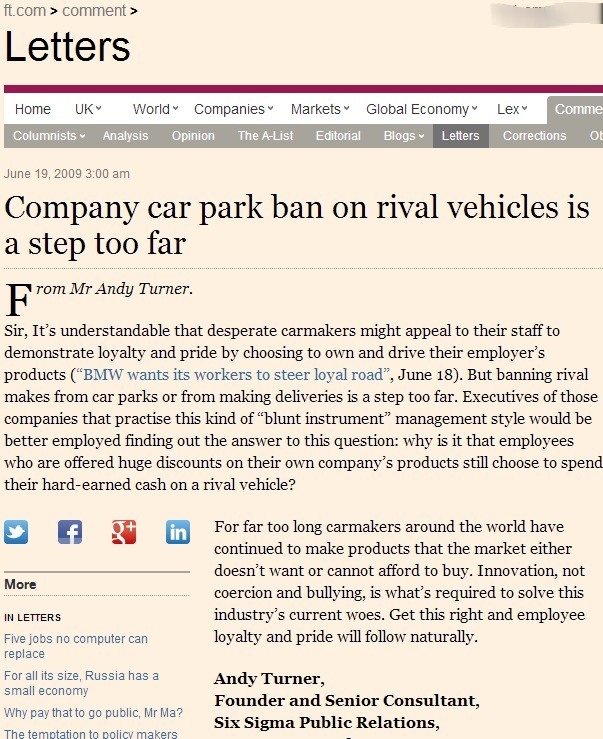 Given how stunted management thinking at some European car manufacturers is, maybe they’re just acting on orders from higher up (click on the image above for an example of this). When it comes to marketing your business, instead of doing the equivalent of attaching balloons in a desperate bid to make yourself stand out and attractive to buyers, first ask yourself this: have I really done all I can to make this company truly better than the alternatives? If the answer’s no, all the rubber and helium in the world are unlikely to make any lasting difference.